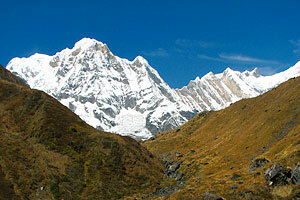 Overview: Join us on this beautiful trek to a secret region just below the regular Everest Base Camp trek. 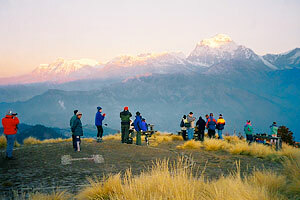 This little visited area is where most of our trekking staff and climbing guides come from. The trek is short (two weeks only!) 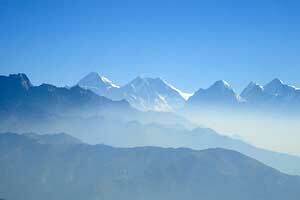 but you'll have excellent views of many 8000 meter peaks including Mount Everest. This hiking is moderate and in addition to the climb to a 14,000 ft. peak you will visit a remote village and a middle school that we have been helping for some years now. For those who want to take it easy there is an option to home stay in the village while the rest of the group does the harder part of the trek including the peak climb. Leadership: Our Trek Leader is Marin Johannsson. She holds a B.S. in Recreation with a special emphasis in Outdoor Leadership. Marin has taught rock climbing, snow camping, rafting and canoeing. 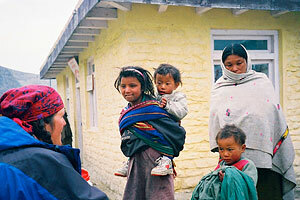 Trained in first aid, she has led many treks for us since 1990. When not on the trail, Marin also is a rafting guide and collects Tibetan Thangka paintings. Marin works closely with our local guide and dedicated staff members (cook, porters and assistants) to make this special trip a complete success. With a group of five or less, our local professional staff will lead this trip. Pre Trip Days: In transit from your home (those in the Americas lose one day when crossing the international date line). 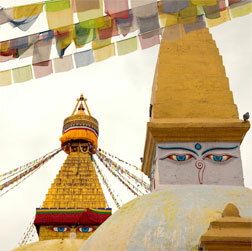 Fly to arrive in Kathmandu, changing planes in Bangkok, Delhi, Hong Kong or Singapore. 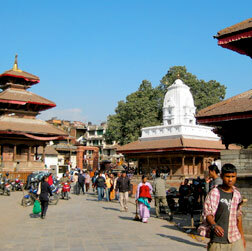 Your group leader will meet your arrival flight at the Tribhuvan airport in Kathmandu (elevation 4,428 feet). They must wait for you outside the airport building, so we meet you after you get your visa, collect your luggage and pass through Nepal customs on your own. Day 1: Arrival day in Kathmandu, Nepal (4,423 feet). Your guide will meet your flight at the Tribhuvan Airport in Kathmandu — waiting for you outside the customs hall after you get your visa, collect your luggage and pass through Nepal customs on your own. You will soon transfer to a delightful smaller guest house found in the Thamel neighborhood of Kathmandu, offering comfortable rooms with attached bathrooms (good hot showers), telephones, email, laundry service, a free safety deposit box and luggage storage. Many of our guests tell us they enjoy the hotel's location as well as friendly staff. Day 3: In Kathmandu. 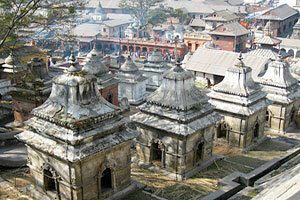 Enjoy a free day in Kathmandu for some shopping or just sightseeing on your own. 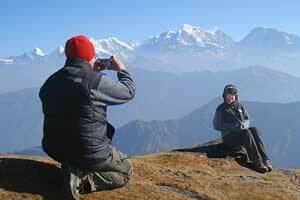 Day 4: Fly to Phaplu (9,184 feet) and trek to Kunekhop. 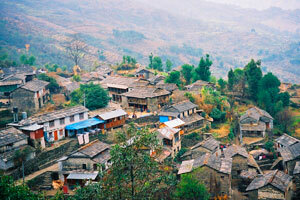 The flight is generally at around 10 a.m. and it's only about 35 minutes flight to reach Phaplu airport. Post Trip: Usually a two–day return for Americans due to a forced stop–over in Delhi, Bangkok, Hong Kong or Singapore crossing the international date line — then arrive home about midday. A day filled with wonderful memories — vignettes of new faces, places and friends you'll never forget! Important Note: This is meant only as a general guide to the schedule of our days. Changes can be made as we go along, based on local conditions, acclimatization, health and fitness levels, etc. 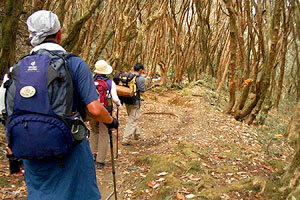 Ascents and descents listed in this itinerary are approximate totals of daily ups and downs. The exact amount will vary considerably and is impossible to measure accurately. The times and elevations given here are rounded off. Please bear in mind that this is a long and strenuous trek. Travel Details: You are welcome to arrive early or stay for extra days at the end. We can arrange additional nights at any of our hotels or guest houses for you (with comfortable deluxe rooms with attached bathrooms, telephones, room service, laundry service, a free safety deposit box and ample luggage storage). There is internet access at the guest house. Safe airport pickup for early arrivals is available at a low cost. Please refer to the booking information section of our application form for more information. Passport, Visa(s), Physicians Visit, Emergency Medical & Evacuation Insurance, Travel to/from Kathmandu, Meals Beyond Above Itinerary, Beverages, Spending/Personal Money.